Looking for a new bucket list experience? 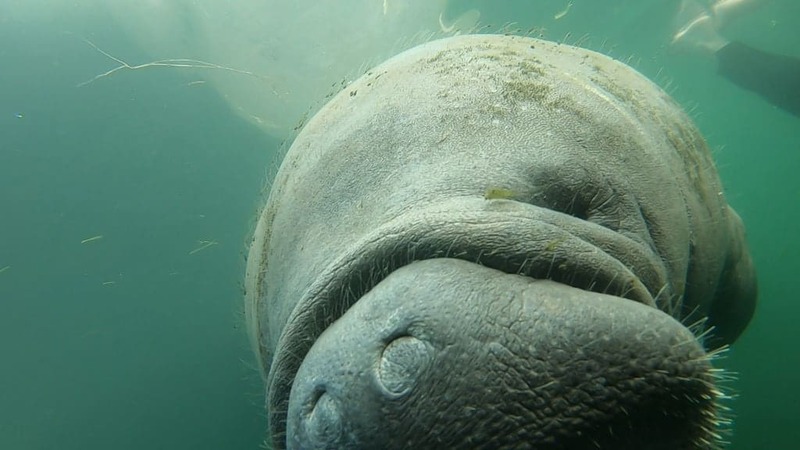 Swim with Manatees at Plantation on Crystal River! I have a confession to make: I have lived in Florida all my life, that’s 36 years if we’re counting, and had never been to Crystal River until earlier this summer. Having not been to a particular area in Florida is typically not that big of a deal (Florida is a large state after all)– but when you take into account that Crystal River is the Manatee Capital of the World, it made me feel a little foolish that I hadn’t visited sooner…and the real kicker is that you can legally swim with Manatees in Crystal River! I had no idea! All this time I could have been swimming with manatees! I only know this now because of my recent stay at Plantation on Crystal River. 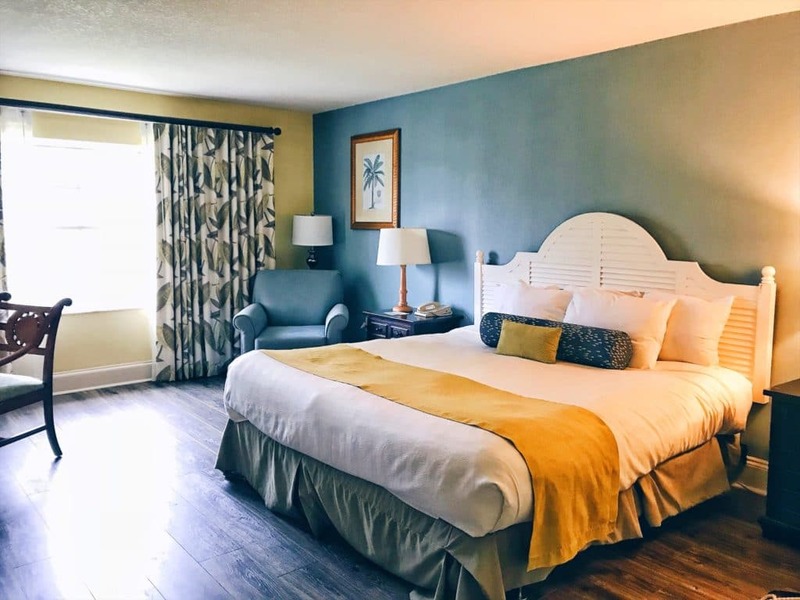 The hotel is positioned next to the natural springs of Kings Bay, which is one of the largest aquifers in the state and home to more than 400 West Indian manatees that migrate to the warm springs each year. 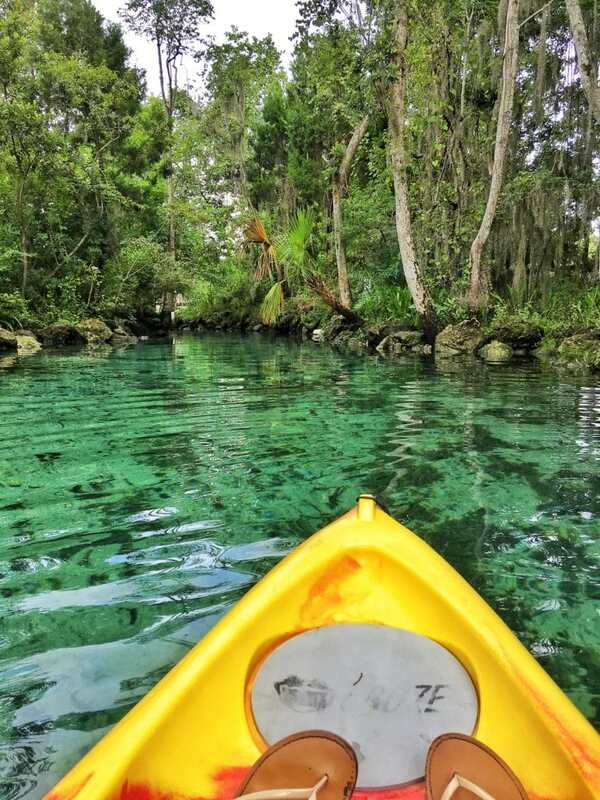 The location of Plantation on Crystal River is ideal if you want to swim with manatees…and let’s be honest, WHO DOESN’T WANT TO SWIM WITH MANATEES!? 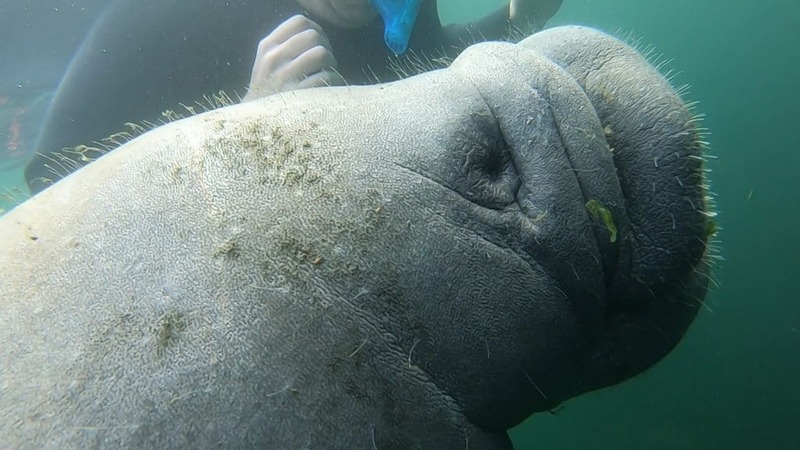 Whether you’re staying at Plantation on Crystal River, or just visiting for the day (I recommend the former), booking a tour to swim with manatees is super easy at the on-site Plantation Adventure Center. For three hours our group of five was led by Lance and Thaisy around the greater Kings Bay estuary and springs. Since we visited in July, outside of Manatee season, there were only a handful of manatees left in the area. We knew this going in, and both guides went out of their way to make sure we got up close to at least one gentle giant. 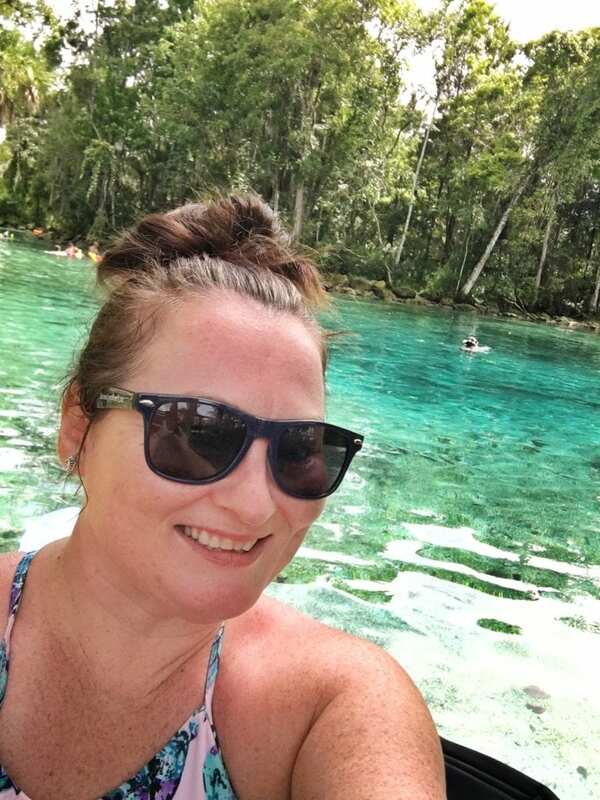 I want to say, in total, we swam with three manatees…And even that was magical! 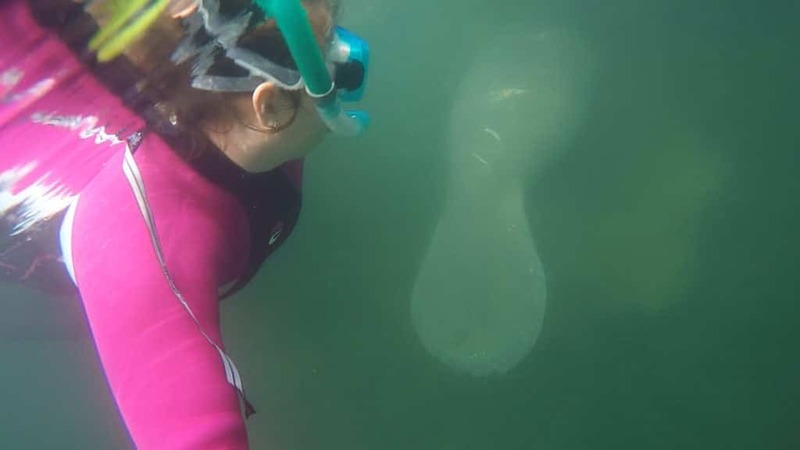 My mind can’t even process what it would’ve been like to have been there during Manatee Season, swimming with hundreds of majestic sea cows. There are rules you must follow while you’re in the water to protect the manatees. The most important being that you’re not allowed to interfere with them. So when you snorkel, you’re really just floating on top of the water while your arms and legs are still, moving them only when absolutely necessary. If you make too much noise or splash around, you’ll scare the manatees away. I have to tell you, if you’re near a manatee when they’re eating, the best tip is to be completely still and silent– if you listen closely, you’ll actually be able to hear them munch on their food! Florida manatees don’t have any real predators, so they are not scared of humans….they’ll literally just sit there, snack on aquatic plants or sleep while you swim around them. The only other place I’ve experienced wildlife without fear of humans was the Galapagos Islands. The highlight of the morning was swimming with a pregnant manatee. 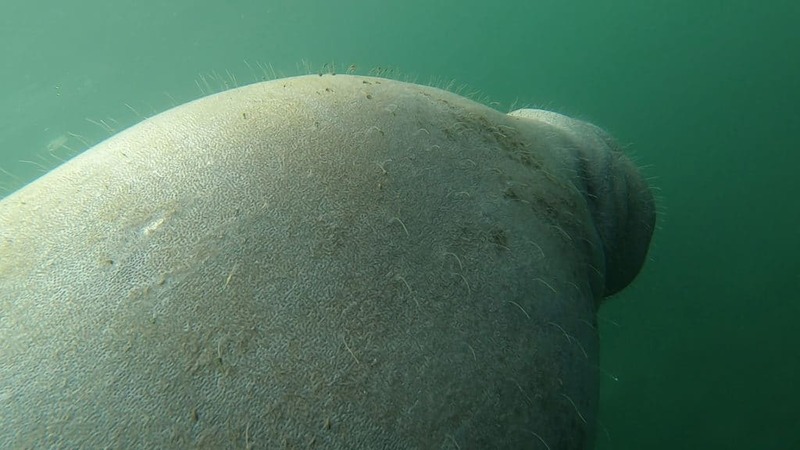 The sheer size of any manatee is overwhelming–adults can easily weigh 1000 lbs or more–but a pregnant mama manatee totally takes the cake…she was huge! Just being in her vicinity was incredible. According to our guide, December is the best times to swim with manatees as they will pile on top of each other to stay warm in the springs (Three Sisters springs is a very popular spot to see this). It was also advised to take the first tour of the morning for the best viewing experience, and also on a weekday to avoid the crowds. 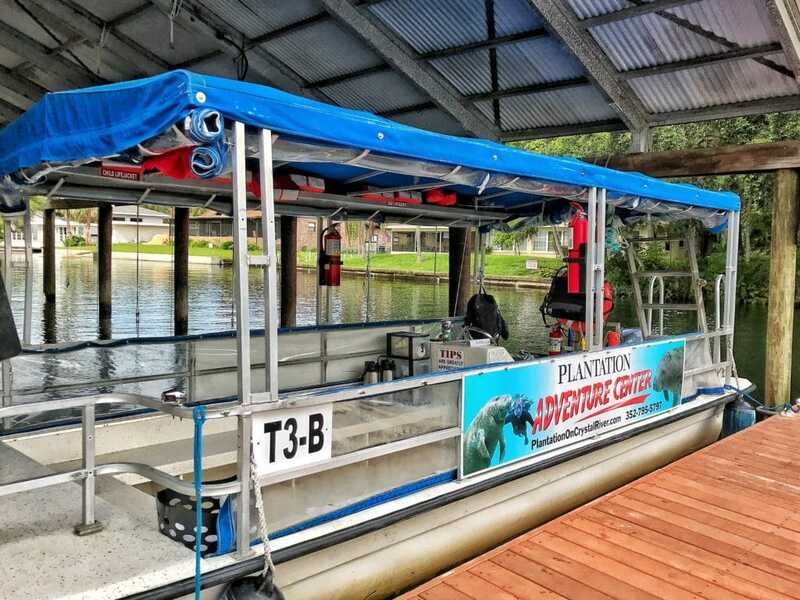 If you book a manatee snorkeling tour with Plantation Adventure Center you won’t have to bring much with you on the boat. Each tour includes the use of a 5mm wetsuit, mask and snorkel. There’s also towel service and coffee and hot chocolate on the boat! Also, if you have a GoPro, I highly recommend taking it along because you will get some fantastic photos and video. 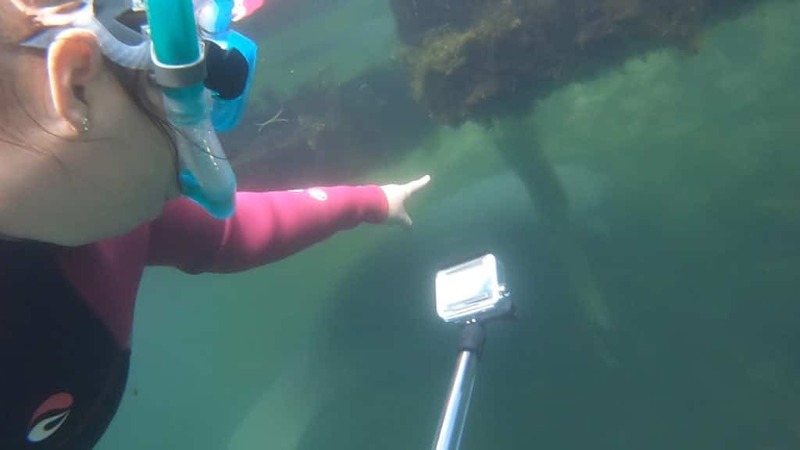 If not, your in-water guide will take videos and pictures of your manatee experience, which will be available for purchase at the dive shop. The main rule is to look, but don’t touch. If a manatee approaches you, you can gently touch them with one hand, but never two (TWO HANDS ARE ILLEGAL!). The Florida manatee is protected by the Florida Manatee Sanctuary Act of 1978, which states: “It is unlawful for any person, at any time, intentionally or negligently, to annoy, molest, harass, or disturb any manatee.” Further, the manatee is protected under federal law by the Marine Mammal Protection Act of 1972 and by the Endangered Species Act of 1973, which makes it illegal to hunt, capture or kill any marine mammal. 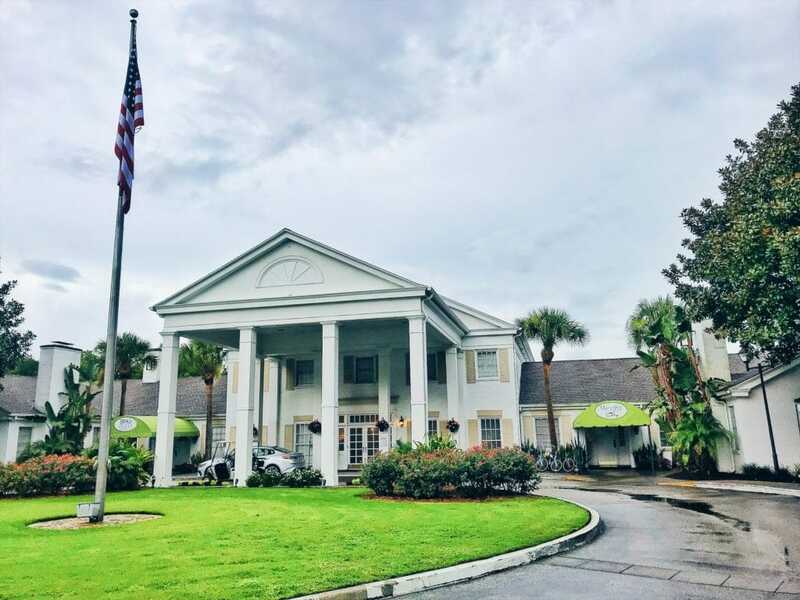 It should be obvious that Plantation on Crystal River is THE place to stay in Crystal River, Florida, if not for its prime location alone. The hotel has a quaint feel with comfortable accommodations and just about any outdoor nature activity that you could ask for. 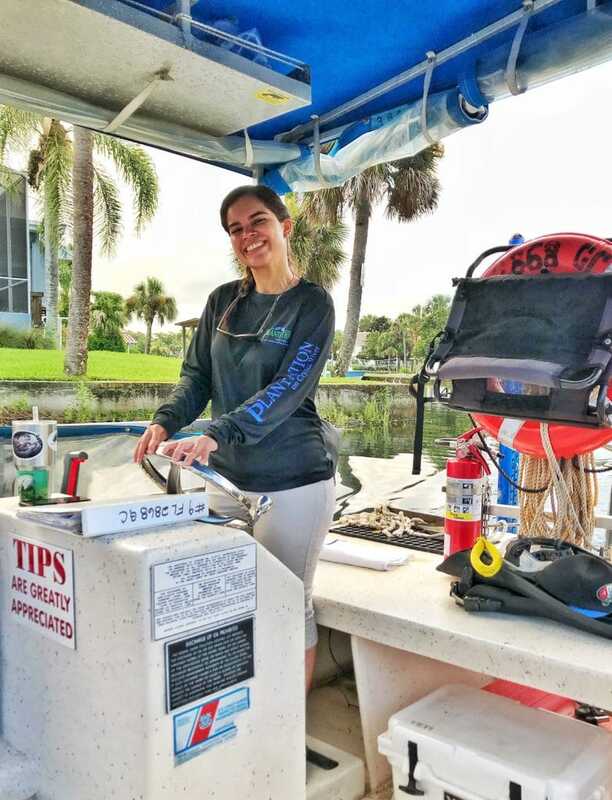 In additional to swimming with manatees, you can go boating, fishing, stand up paddleboarding, kayaking and scalloping (seasonal). The hotel also has an on-site spa and golf course. 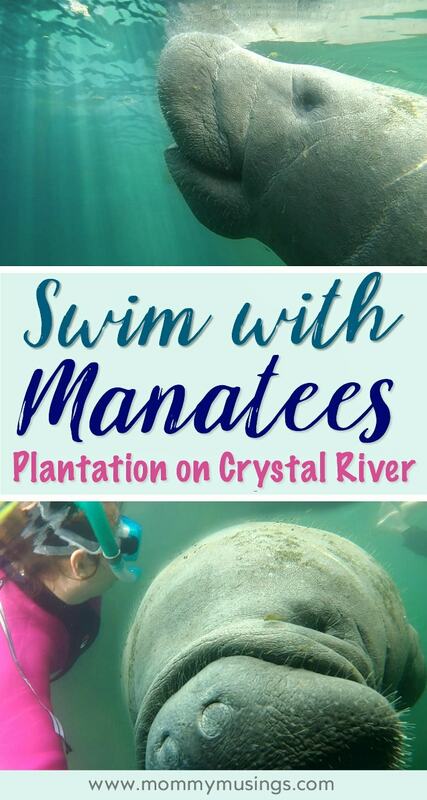 Now that I have experienced a little piece of Crystal River, I’m excited to return with my daughter in December to swim with the manatees at Plantation on Crystal River. My husband and I enjoyed the outdoor adventures there so much that we’re even talking about a family trip next scallop season. One thing is for sure though, I AM HOOKED FOR LIFE ON MANATEES! Special thanks to Plantation on Crystal River for hosting my stay. All opinions are my own. What an exciting adventure, these humble creatures are magical. Thank you for writing about your experience.